 For Men we have the Classic Lobster Shirt. 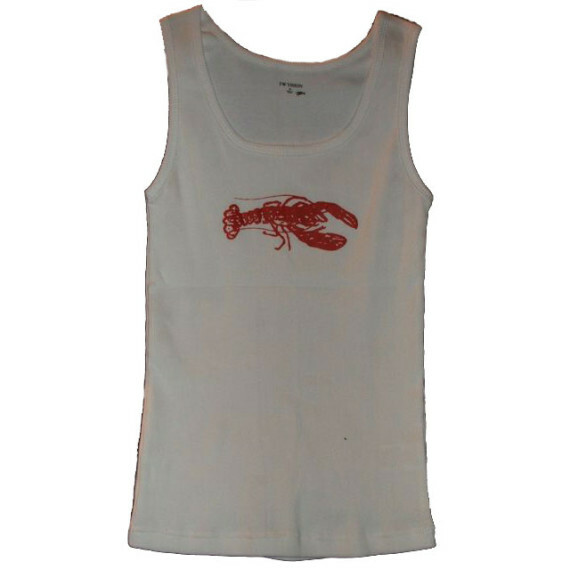 For Women we have the Lobster Tank Top. 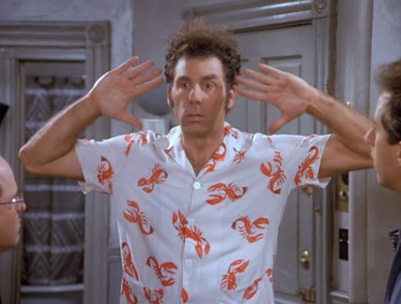 The Cosmo Kramer Lobster Shirt is Here! 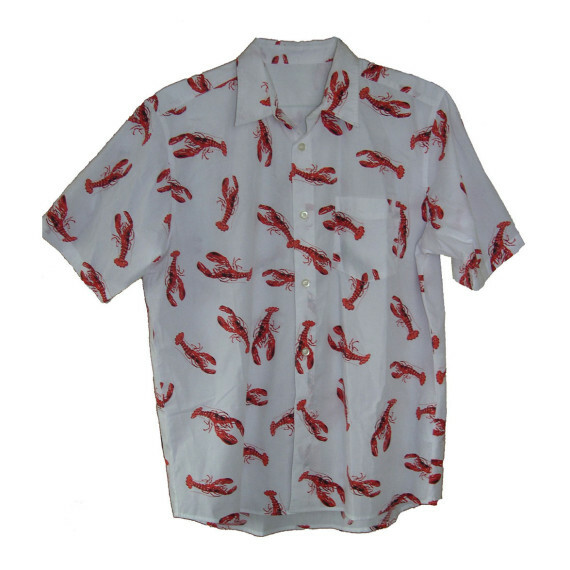 The lobster shirt is immortalized in the hit TV series Seinfeld by the character Kramer in multiple episodes. 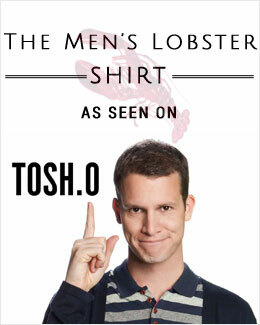 Tosh O on Comedy Central recently wore the shirt in a 2015 episode, further increasing its popularity. The lobster shirt has also been profiled in Chicago Magazine as the ultimate cabana shirt. And now everyone can have the shirt Kramer and Tosh O wore. Never available before until now, get the shirt everyone has been looking to buy for years. Perfect for any occasion, the lobster shirt is guaranteed to be a conversation starter and turn heads wherever you wear it. 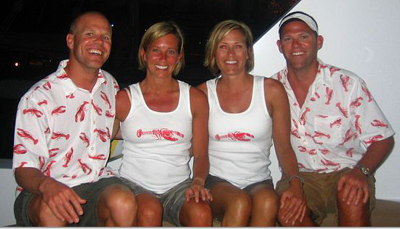 Whether you are individual or group looking to buy for a special event, the lobster shirt will be the topic of conversation wherever you go.